As expected, Lenovo finally unveiled its new Tab 4 series of Android tablets at the MWC event in Barcelona. There are four new models of Tab 4 diverged into editions based on screen size 8-inch and 10-inch. 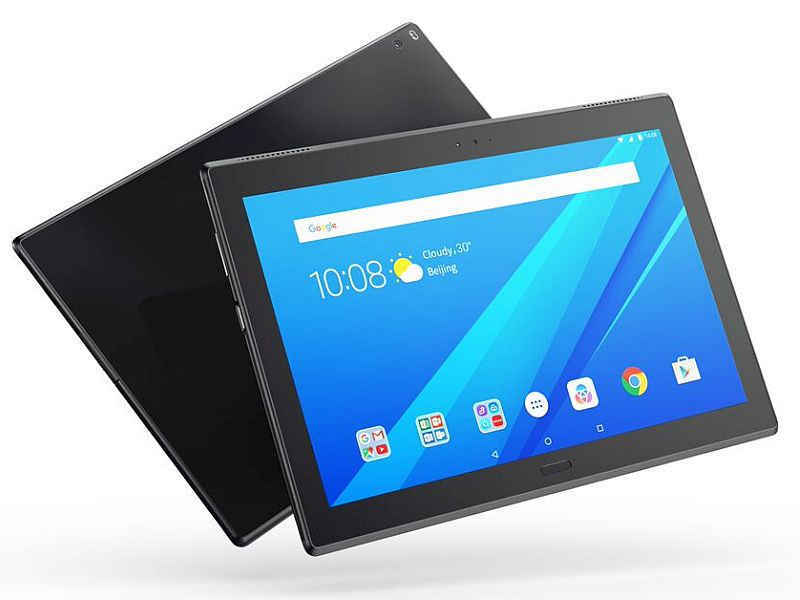 So, these four models are – Lenovo Tab 4 8 (8-inch screen), Tab 4 10 (10-inch screen), Tab 4 8 Plus (8-inch screen), and the Tab 4 10 Plus (10-inch screen). Lenovo announced that these tabs would go on for a global sale from May and the pricing will vary as per regions. 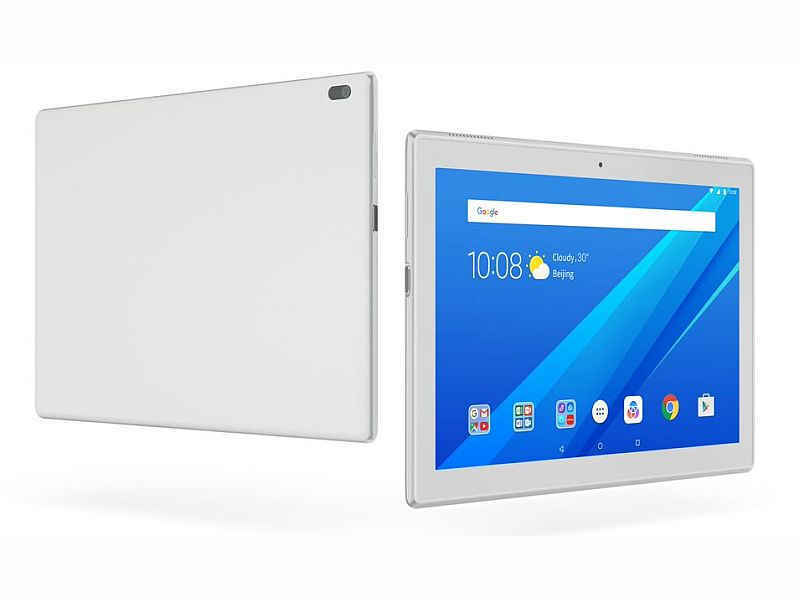 The company is promoting these new tablets for being made for kids and adults. The new Tab 4 lineup is touted by the company to deliver up to 12 hours of battery life on single charge. All the four new tablets run Android 7.0 Nougat and are equipped with multi-user mode. This time around, Lenovo is massively promoting Kids and Productivity packs with its Tab 4 lineup. Maybe, the company wants to compete with Amazon’s Fire HD Kids tablet by providing optional packs with the Tab 4. The Kids pack on Lenovo Tabs offer exclusive kids content (powered by KIDOZ), security tools, and enhanced parental controls. It also provides a dedicated kids account. The Tab 4 8 and Tab 4 10 come with HD 720p displays and are powered by Qualcomm’s Snapdragon 425 processor. They pack in 2GB of RAM and 16GB/32GB internal storage (depending on the variant). For connectivity, they come with Micro-USB port for charging. The Tab 4 8 (8-inch screen) is backed by a 4850mAh battery while a 7000mAh battery powers the Tab 4 10 (10-inch screen). The Tab 4 8 Plus and Tab 4 10 Plus come with a “head-turning dual-glass design” clubbed with full HD 1080p screen. They are powered by a Snapdragon 625 processor with 3GB of RAM and 32GB storage. They are also available in another variant with 4GB of RAM and 64GB storage. Both the tabs come with USB Type-C port and fingerprint scanner. The Tab 4 8 Plus is backed by a 4850mAh battery while the Tab 4 10 Plus has a 7000mAh battery. The basic models of Lenovo Tab 4 8 and Lenovo Tab 4 10 will retail at $109 and $149 respectively. The entry level Tab 4 8 Plus and Tab 4 10 Plus will cost $199 and $249 respectively. Depending on the display size of the tablet, the kids pack might cost somewhere between $20-$25. Having Issues With Bluetooth On Your Motorola Device? Don’t Worry, Here is a Fix! Lenovo Showcases Folio Tablet With Bendable Display That Turns It Into A Smartphone!